The Plant Nematology lab space in the centre for plant sciences. 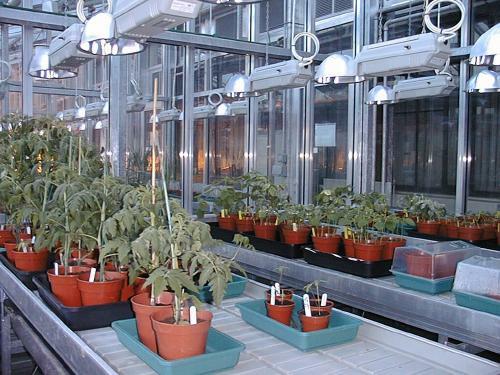 The plant growth suite of the centre for plant sciences is equipped with glasshouses and a tissue culture facility. The Plant Nematology Lab is well equipped with temperate and tropical transgenic glasshouses. The Plant Nematology lab has an internationally important research environment. Post-graduates work alongside experienced post-doctoral scientists and technicians (see lab members). 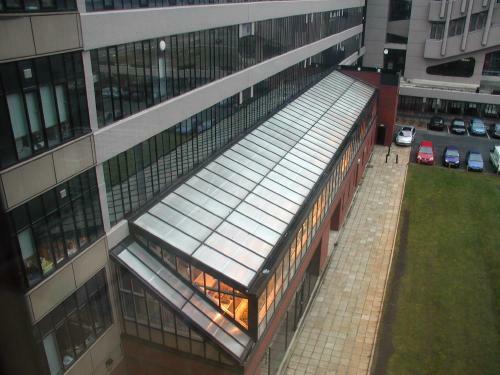 We have a well equipped laboratory (see box opposite) with all the equipment required for molecular plant Nematology. We also have direct access to wide range of facilities within the Centre for Plant Sciences (CPS) to which we belong within the Institute of Integrative and Comparative Biology. This and two other research institutes comprise one the largest Faculties of Biological Sciences in a UK university. CPS is one of the best equipped plant research groups worldwide. It has fifteen environmentally controlled greenhouses, a superb tissue culture facility with six flow hoods and plant growth chambers of varying in size including walk-in rooms. We have both a horticultural garden and an experimental farm. There is also a fully integrated DNA capillary sequencer, a transgenomic denaturing HPLC and a liquid handling robot with integrated fluorimeter. We have access to real time quantitative PCR, a DNA microarray facility with a liquid handling robot and an automated DNA sequencer. Our in vivo imaging facility comprises epi-illumination and inverted microscopes, plus both high gain CCD and photon counting cameras. We have access to laser confocal microscopes. The Plant Nematology lab is fully equipped for all the molecular approaches we need. We also have our own radioisotope facility and cold room. At the biological level we have high quality compound and stereo binocular microscopes with digital recording and analysis equipment. We have a dedicated room for recovering nematodes from soil and plants. 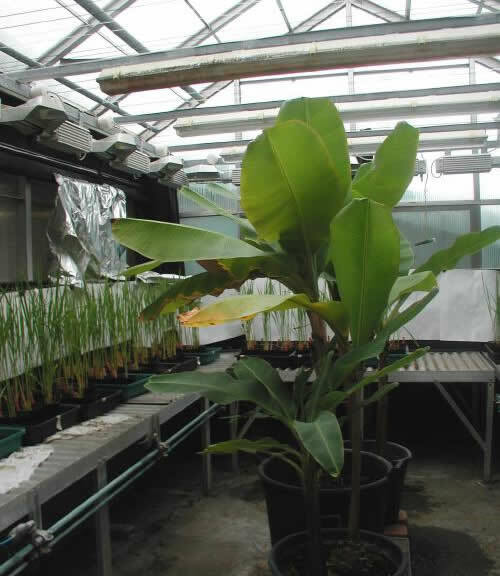 Plants are challenged with nematodes in six containment glasshouses that are able to provide temperate to tropical environments. We maintain a wide range of nematode colonies at our horticultural glasshouses and carry out field trials at both the University experimental farm and with partners overseas.